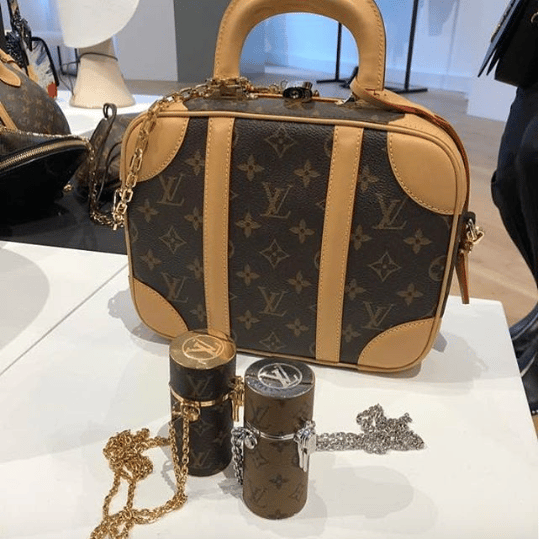 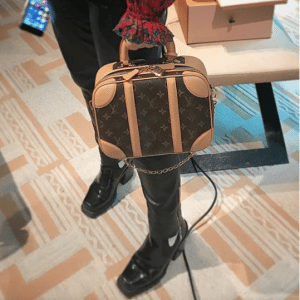 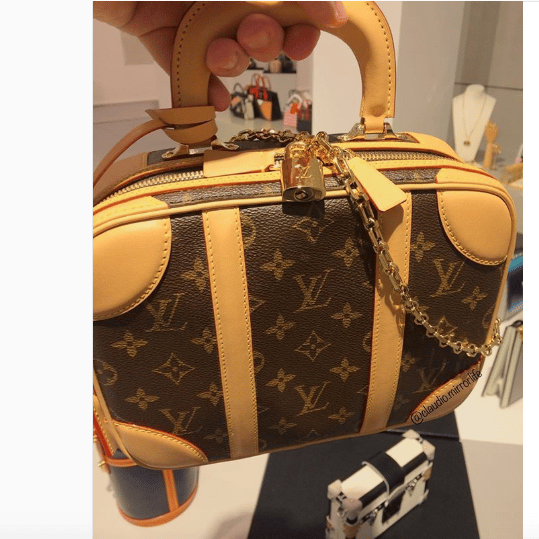 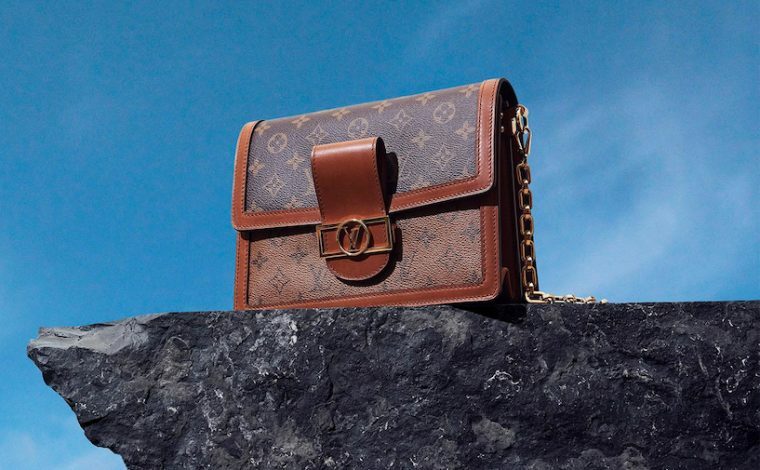 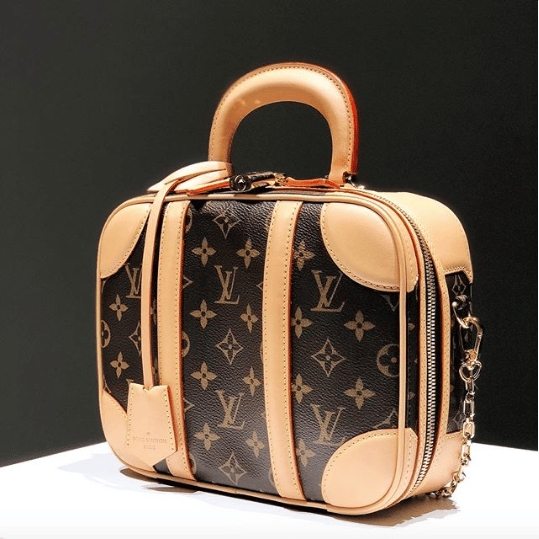 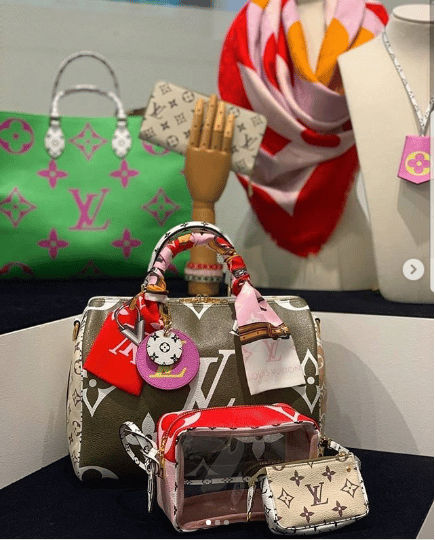 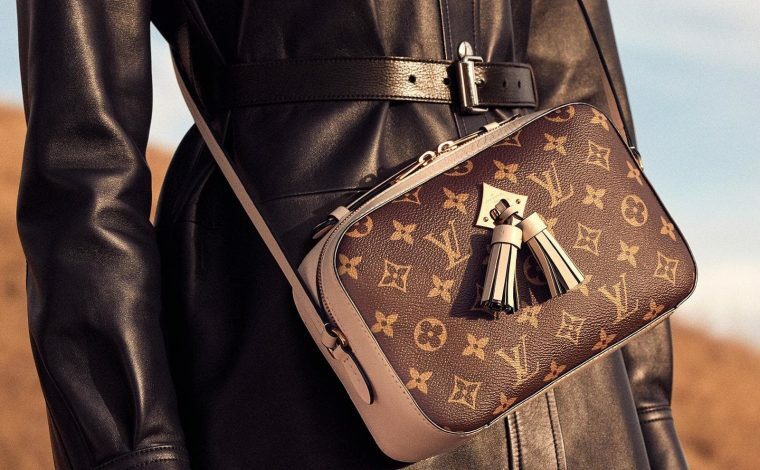 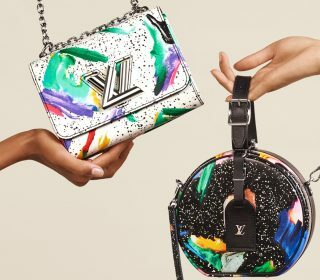 Presenting the Louis Vuitton Mini Luggage Bag. 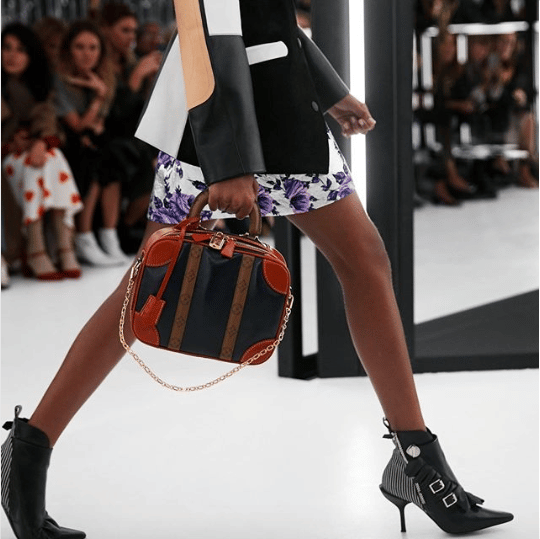 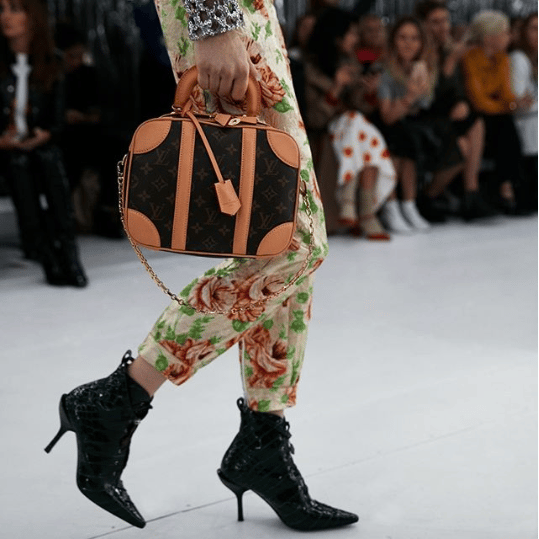 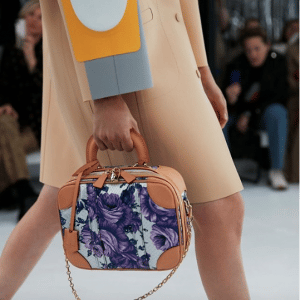 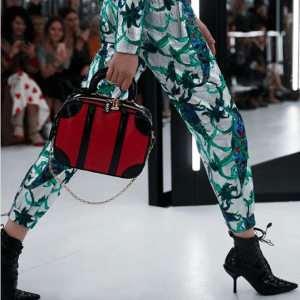 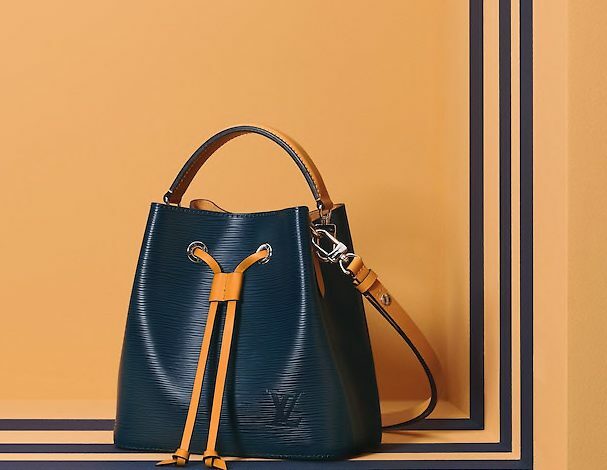 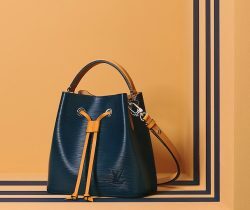 This structured bag is part of the brand’s Spring/Summer 2019 Collection. 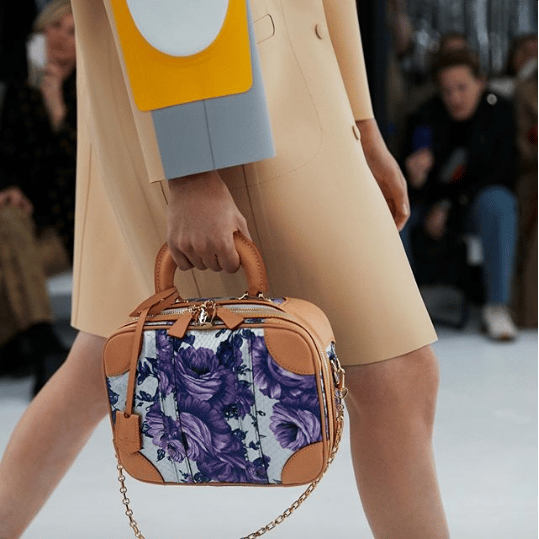 It has taken its inspiration from vintage Stratos suitcases, and also looks very similar to the Valisette Bag from Fall 2001 collection. 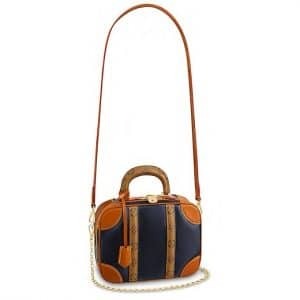 It features a top handle with removable leather and chain straps. 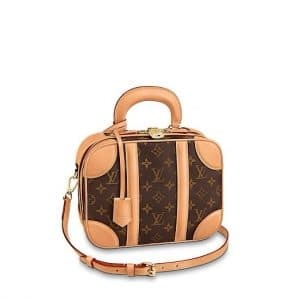 The interior is made of microfiber with two flat pockets. Available in a variety of materials including Monogram Canvas, calfskin, patent and python.